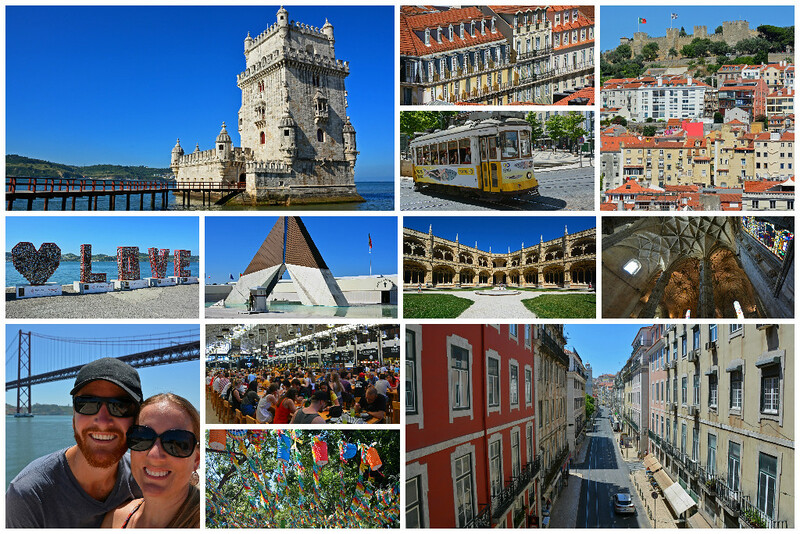 Prior to embarking on a multi-day cruise to explore the Douro Valley in central Portugal, we spent 2 days in Lisbon and another 2 weeks exploring the surrounding area. This led to our discovery of several fascinating places within a 1-2 hour drive, bus, or train ride of the capital city. Most of the places we visited had been pegged as day trips from Lisbon, but we quickly discovered more than just one day is warranted in many of these locations. This post may seem a little contradictory, as we’re encouraging you to spend more than just a day in these destinations, while also providing options for guided day trips from Lisbon. Either way, we want you to know you have a variety of options for places to explore in central Portugal within a short distance of the capital city. The uniquely enchanting medieval village of Sintra boasts some of the most colorful and remarkable palaces and castles we’ve seen in all of our travels. Quinta da Regaleira is a 10-acre estate featuring a Gothic palace, a Roman Catholic chapel, lakes, cisterns, towers, and intriguing tunnel entrances. The 10th-century Moorish Castle offers incredible 360-degree views over Sintra and out to the Atlantic Ocean, while the nearby 19th-century Pena Palace, the town’s most notable attraction, will ignite your imagination and inspire your creativity. Our two favorite attractions (the National Palace of Queluz & the Palace of Monteserrate) were a little bit of a distance from the town center, requiring either a short bus or train ride. This fact alone may have deterred some people from visiting these two particular palaces. Though despite the crowds at some of Sintra’s more popular attractions, we would definitely recommend a multi-day visit to this mystical town during your time in Portugal. 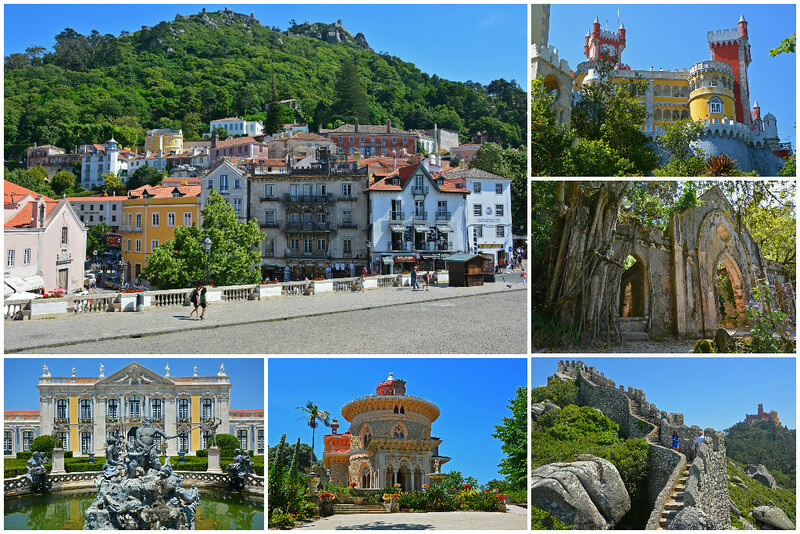 We feel that there is simply too much to see in Sintra to try and fit it all in to a day trip! 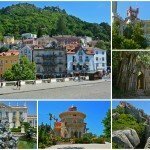 Though it is considered somewhat of a small town, Sintra is fairly spread out and very hilly! You will be absolutely exhausted if you try to pack too much into a day. During the summer months especially, this fascinating town can get very, very crowded. If you extend your visit to more than just a day, you’ll be able to visit the attractions early in the morning and/or later in the afternoon before and after the day-trippers have come and gone. Lisbon to Sintra Train (Recommended): 40 minute travel time on the regional train which leaves from the Rossio train station – connected to the Rossio metro station (green line). Train tickets must be purchased on the day of travel. Several trains leave for Sintra every hour and a little less frequently on the weekends – Check the Lisbon-Sintra train schedule for specific departure times. Lisbon to Sintra Bus: Not recommended, as there are no direct routes, though if you are traveling to Sintra from Cascais, Bus 417 will take just 30 minutes. 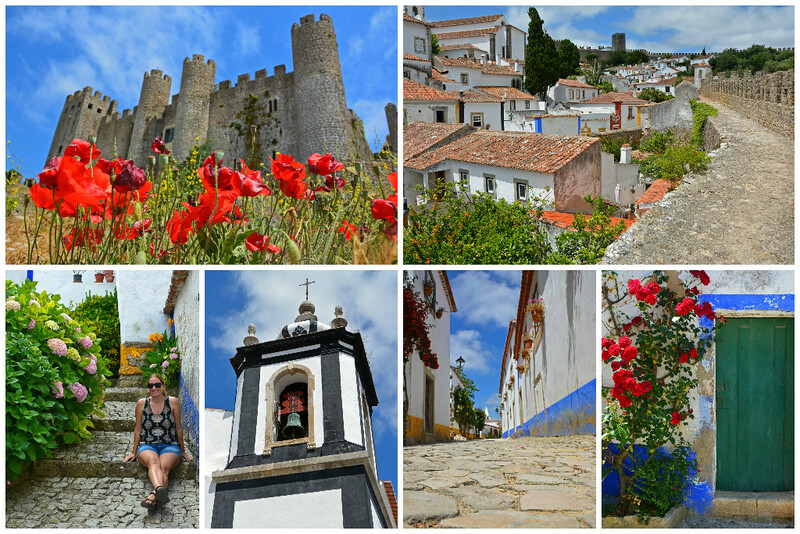 A visit to Obidos is like a step back in time. Its roads are paved with cobbles and the city is still completely enclosed by a fortified medieval wall. If you’re feeling extra brave, you can go for a stroll along the steep, narrow, and precarious walls, but be careful… there are no handrails. Explore a medieval castle and step inside centuries-old churches, one of which has been converted into a book store. Along the main street, Rua Direita, you’ll find countless artisan and souvenir shops, along with a delicious pastry shop. Be sure not to leave before you’ve had a sample of the town’s local cherry liqueur, ginjinha (or ginja), traditionally served in a small edible chocolate cup. As you stroll along the cobblestone streets, take in views of the colorful buildings and vibrant flowers accenting traditional houses down small alleyways. 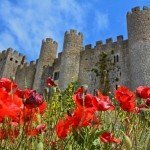 Here is why we recommend Obidos as more than just a day trip – if you go just for the day, you’ll be there with hundreds of other day-trippers who took the same bus from Lisbon. You’ll be competing to capture the same pictures and to dine at the same handful of restaurants. To really appreciate the town, we strongly urge you to stay a night or two. The crowds begin to dissipate in the late afternoon and you’ll practically have the town to yourself once the sun goes down. In the early morning hours, it’ll be just you and the chirping birds! Lisbon to Obidos Train: The infrequent train service from Lisbon to Obidos takes two hours, whereas the express bus only takes about an hour. As such traveling to Obidos by train is not recommended. Lisbon to Obidos Bus (Recommended): Take the Rapida Verde bus in Lisbon from bus station at the Campo Grande metro station (green or yellow line). Tickets cannot be purchased in advance and are only available from the bus driver at the time of departure. Check the bus schedule for departure and arrival times. Journey time is just over an hour. The bus stop in Obidos is less than a 3-minute walk to the town center. For more information about things to do in Obidos, check out our post: Obidos, Portugal – More Than Just a Day Trip From Lisbon. Just 20 minutes from Obidos is the coastal town of Peniche. From here, you can take a <1-hour boat ride to the Berlengas archipelago to visit the island of Berlenga Grande, the largest and only habitable island in the group. The island is only accessible by boat during the summer months (May-September), and because only 350 people are allowed on the island at any given time, reservations are limited and strongly encouraged. Berlenga Grande is less than a mile long (1500m) and only a half mile wide (800m). Besides the 17th-century fort, the lighthouse (built in 1841), and a small half-board lodging and restaurant, the island is just one giant nature reserve with unpaved trails leading to all corners of the isle. While some of the places we’ve discussed so far encourage crowds, Berlenga Grande does quite the opposite! 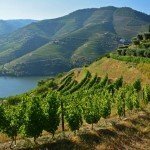 If you’re wanting to get away, even if just for a day, escape to this unspoiled island for a unique look at some of Portugal’s most pristine natural beauty. Getting there may be a bit of a challenge for anyone prone to seasickness, as the waters can be a little rough, but pop some Dramamine and get ready for an exciting 7-mile boat ride to this hidden gem! Again, be sure to make reservations in advance to avoid disappointment. First, you need to get to Peniche in order to take the boat to Berlengas. Lisbon to Peniche Bus (Recommended): There are approximately 11 journeys a day to Peniche on Rede-Expressos from the Sete Rios bus terminal in Lisbon. Seat reservation is required and the journey time is approximately 1.5 hours. 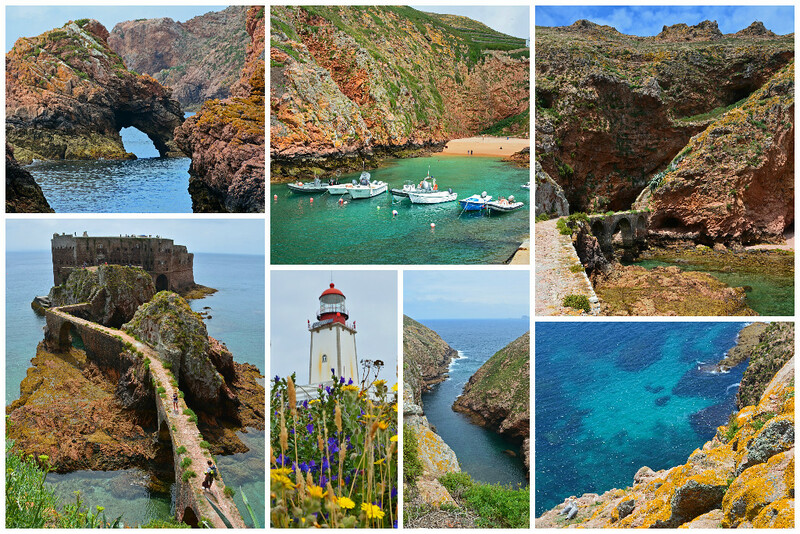 For more information about Berlenga Grande, check out our post: Berlenga Grande, Berlengas: Portugal’s Secret Island. About 30 minutes north of Obidos is the seaside town of Nazare, which is most recently famous as the location where the largest wave on record was surfed (2011). Though there weren’t any massive waves during our visit, we thoroughly enjoyed the wide sandy beaches adorned with colorful fishing boats, the bustling local markets, and small town feel. Traditional dress is still worn by many of the locals, so you may see a few women around town sporting a customary headscarf and embroidered aprons over seven flannel skirts in different colors. Oh, and another neat feature of the town… you can see the islands of the Berlengas archipelago off in the distance from the shore! Ride the funicular up the massive 1,000+ foot (318 m) cliff to Sítio, or if you’re feeling extra spry, you can hike to the hill-top village like we did. Well, we didn’t really have a choice – the funicular was closed for repairs during our visit! 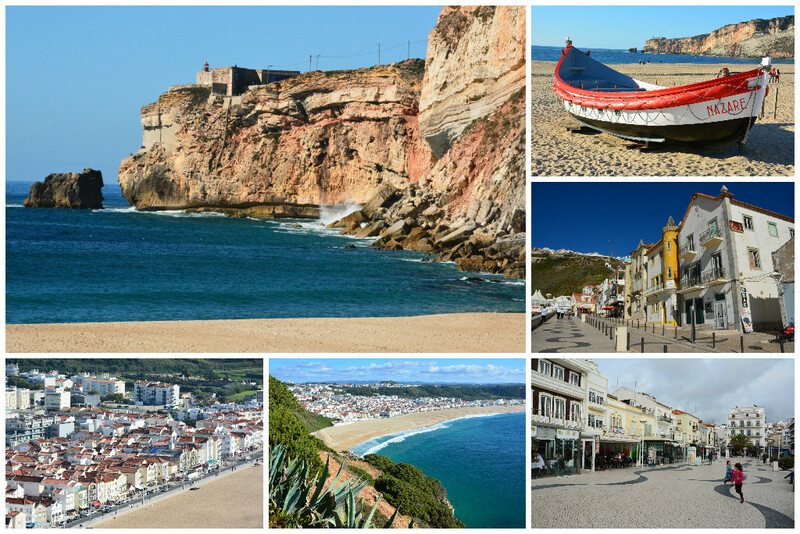 Sítio not only offers gorgeous views of the coastline below, but serves as a second small village of Nazare complete with restaurants and shops, along with the Ermida da Memória chapel and the Shrine to Our Lady of Nazaré. From here, you can also visit the Nazare lighthouse, which contains some neat exhibits about the local history and provides a stunning look at North Beach, notorious for massive waves in the winter months, primarily November. Our visit coincided with the off-season, though we hear the beaches can get pretty crowded in the summer months! Lisbon to Nazare Bus (Recommended): Take a Rede-Expressos bus from the Sete Rios terminal in Lisbon. Seat reservation is required and the journey time is approximately 2 hours. 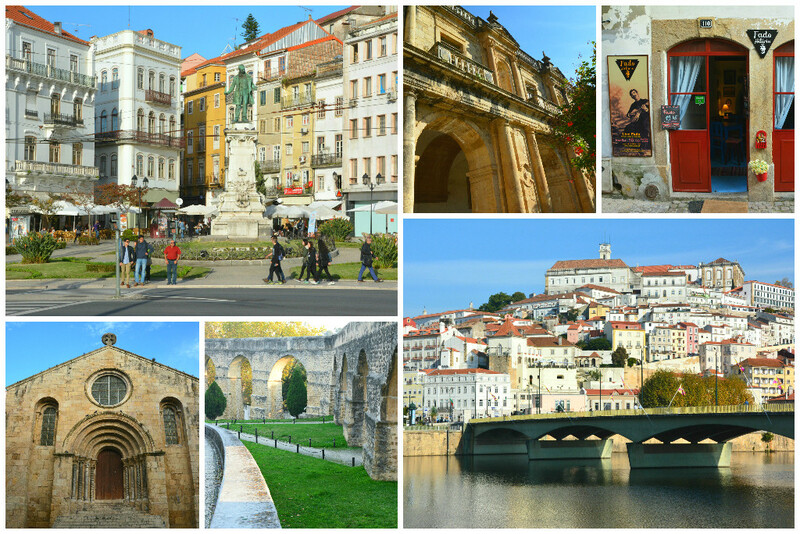 Coimbra, most famously known for being home to Portugal’s oldest University (founded in 1290), is the country’s third largest urban center behind Lisbon and Porto. Its ancient buildings are beautifully stacked on a hillside overlooking the curvy Mondego River in central Portugal. Over 20,000 students attend the University of Coimbra and the city is noticeably quieter in the summer months when a vast majority of the students return home to their families. The university was recently added to the list of UNESCO World Heritage Sites (2013) and we definitely recommend you tour the campus during your visit to Coimbra, especially the Joanine Library with its rich baroque decor. Coimbra is also the birthplace of one of two types of Fado music; the other style of which originated in Lisbon. So, be sure to attend a live Fado performance during your visit to the city. We also highly recommend a visit to the Monastery of Santa Clara-a-Nova on the side of the river opposite the university. Lisbon to Coimbra Bus (Recommended to save money): Take a Rede-Expressos bus from the Sete Rios terminal in Lisbon (there are over 25 departures between Lisbon and Coimbra each day). Seat reservation is required and the journey time is approximately 2.5 hours. Coimbra is actually closer to Porto than it is to Lisbon, so there aren’t too many guided tours leaving from Lisbon. However, we did come across a private guided tour that will take you from Lisbon to this remarkable university town for a fairly affordable price. 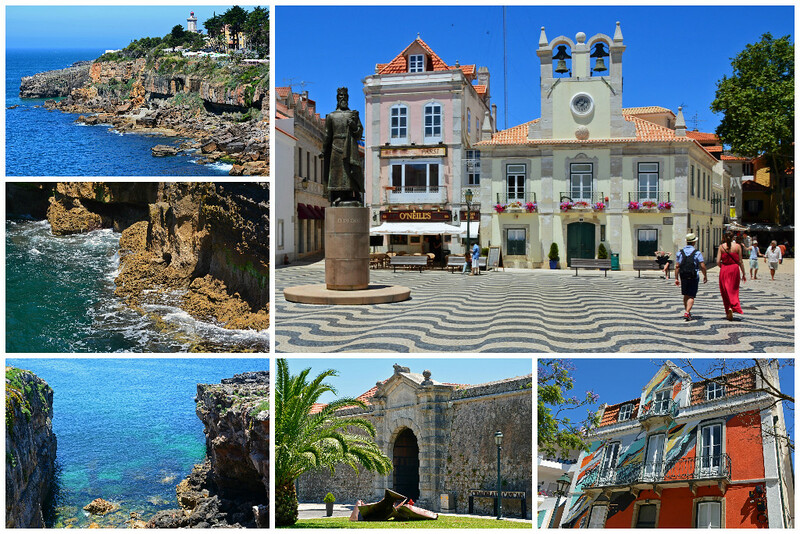 Less than 20 miles (31 km) west of Lisbon is the former fishing village turned resort town of Cascais. Because of its close proximity and fairly compact size, it is probably the only destination on this list that we would actually recommend as a single day trip from Lisbon. Truth be told, we spent a few days in Cascais and enjoyed not having to rush around town to take it all in in a day, but do know that it can be done! In Cascais you’ll find a charming historical city center with open-air restaurants and boutique shops to peruse. There are a handful of neat museums to check out along with several beaches, though for the best beach in the area, you’ll need to head 5 miles (8 km) north to Guincho. Just a 15 minute walk from the picturesque marina in Cascais is Boca do Inferno (Hell’s Mouth), a natural arch formed by the constant battering of crashing waves in the Atlantic. Lisbon to Cascais Train (Recommended): Take the regional train directly from the Cais do Sodre train station in Lisbon. It’s affordable, direct, and you’ll be to Cascais in less than 30 minutes. Be sure to sit on the left side of the train on the way to Cascais (and the right side on the return trip) as the train route follows the beautiful coastline. Lisbon to Cascais Bus: Not recommended, as the journey time is twice as long as the train. So as you can see, there are plenty of options for days trips from Lisbon. Of course we’d be remiss if we wrote a post about places to visit near Lisbon without providing you with at least a few tips on things to discover in Portugal’s largest city. Our first impression of Lisbon was that it was a lot like San Francisco (California). In fact, the same company that built the Oakland-Bay bridge in San Fran built a look-a-like suspension bridge in Lisbon some 30 years later. Both cities are built upon 7 hills and as such, it can fairly exhausting to explore the city on foot. If walking up and down hilly streets doesn’t exactly sound like fun, hop on one of several cable cars operating throughout the city. Otherwise, Lisbon has an extensive and easy-to-use public transportation system (metro, buses, etc). You could also do an electric bike tour or culinary segway tour of the city for something different! Learn about Lisbon’s history as you explore its most interesting neighborhoods on a guided tour. Wander the narrow, hilly streets of the Alfama district, the city’s atmospheric Old Quarter and take in the cafes, craft shops, and old-world buildings adorned with traditional decorative azulejo tiles. Get off the beaten path in Lisbon and go on a street art walking tour. Wander through the Rossio, Lisbon’s main square, or make your way to the top of the Elevador do Santa Justa for wonderful panoramic views over the Baixa district. For a fun and unique dining experience, take your pick of one of several food stalls at the Time Out Market. Or savor the flavors of Portuguese food on a guided tour of Lisbon’s traditional eateries. Discover Lisbon’s culture through its traditional foods on an evening walk and culinary tour. Just outside the city proper in Belém (easily reachable by Tram #15), visit the Jeronimos Monestary and its Gothic- and Renaissance-style double cloister, along with Belem Tower, the country’s finest example of Manueline architecture. There is certainly no shortage of things to do in and around Lisbon!